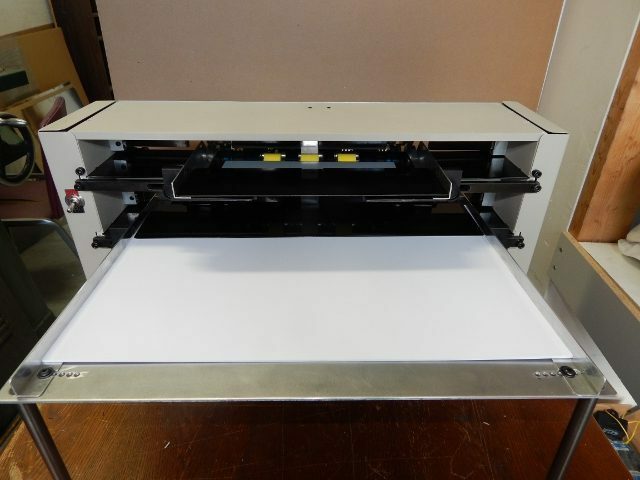 Business Card Slitter allows you to quickly and accurately cut the paper sheet to the desired size of cards. 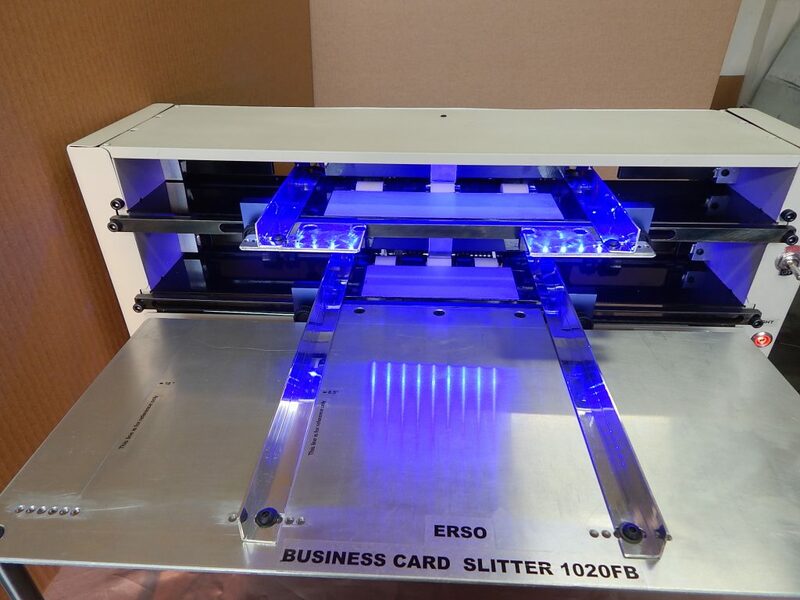 ERSO produces slitters with gutter between cards (Full Bleed), regular paper cutting machine and slitters with adjustable blades for business cards , greeting cards, sport cards, etc. 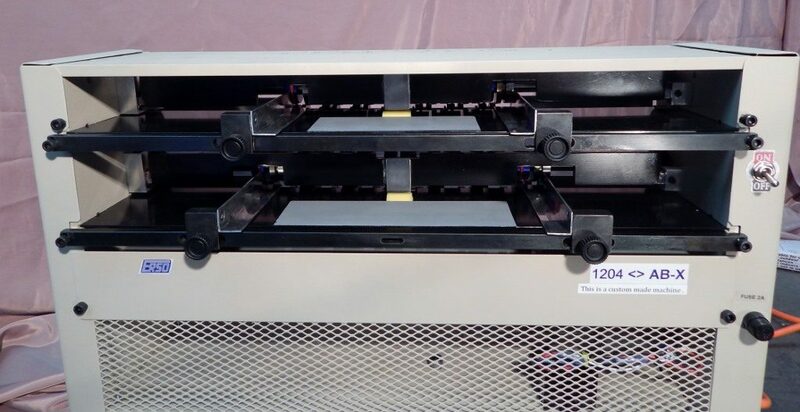 All of them are automatic, electrical machines for any stock size and any card size (business cards, greeting card, postal cards, tickets, labels,sport cards( 2.5 x3.5), etc.). 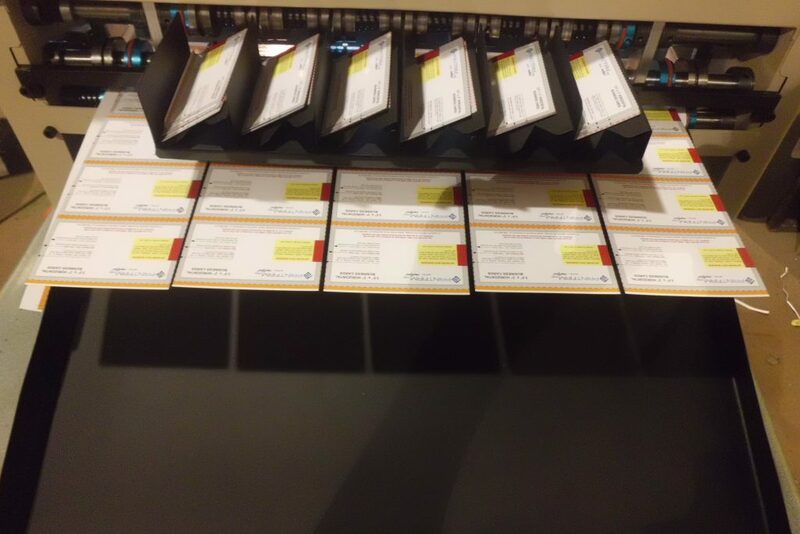 Our Card Slitters Cut Fast, Accurately and You Save Time, Money and Space in your Office (All our slitters are Tabletop). We constantly update our product to provide the highest quality with the lowest price. 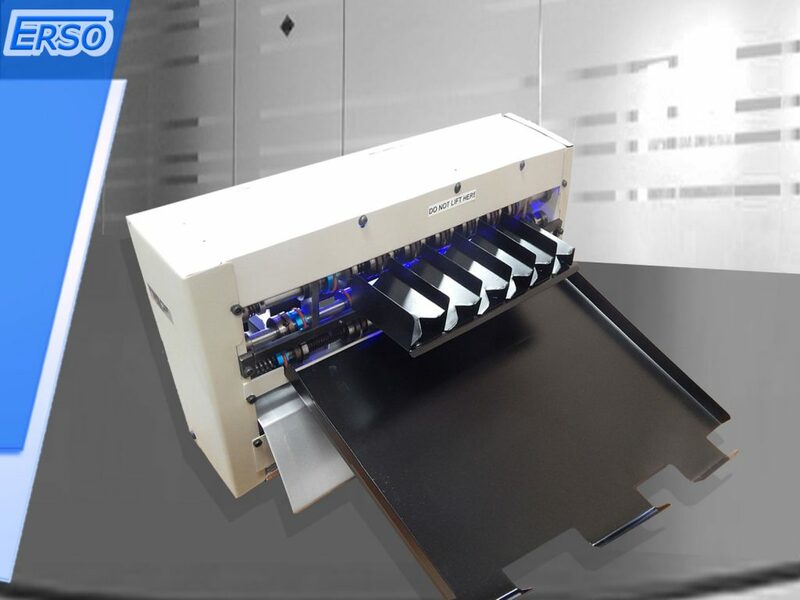 Cutting blades (Semi-self sharpening) allow the slitter machine to work without sharpening and replacement for many years, thus we provide LIFE WARRANTY for BLADES with 24/7 full technical support for all our paper slitter/cutter machines. 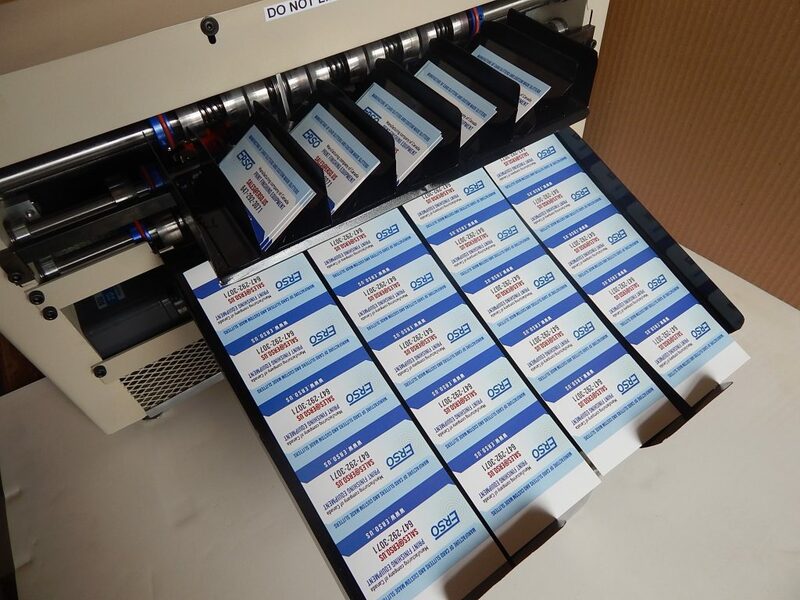 Our Business Card Cutters are Heavy Duty that is allow to cut any stock that you print, including UV coated paper stock. All cutter machines are easy operated. When you using our High Speed Electric Cutter Machine, your efficiency increases many times compared to the guillotine. Due to Full Bleed with adjustable blades slitter’s construction, this model has greater accuracy for setting up different card sizes than computer programmed slitters. Only once set up guides and then only put stock and run. No need any more set up. With gutter between cards :1005FB, 2006FB, 3006FB, 1020FB, etc. 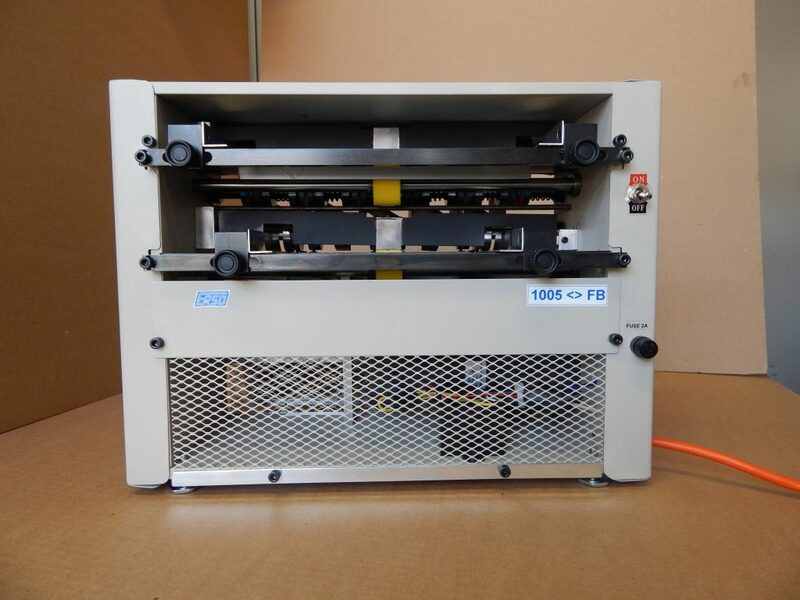 Cutting machines in Standard and Metric system with power 110/240 VAC and able to cut paper with a thickness up to 18 pt (380 gsm ) , including UV coated and laminated paper stock. Our Company has a flexible price policy, which allows individual approach to each client, to each order. We accept Visa, Master Card and American Express credit card payments, PayPal payments, money orders and checks. 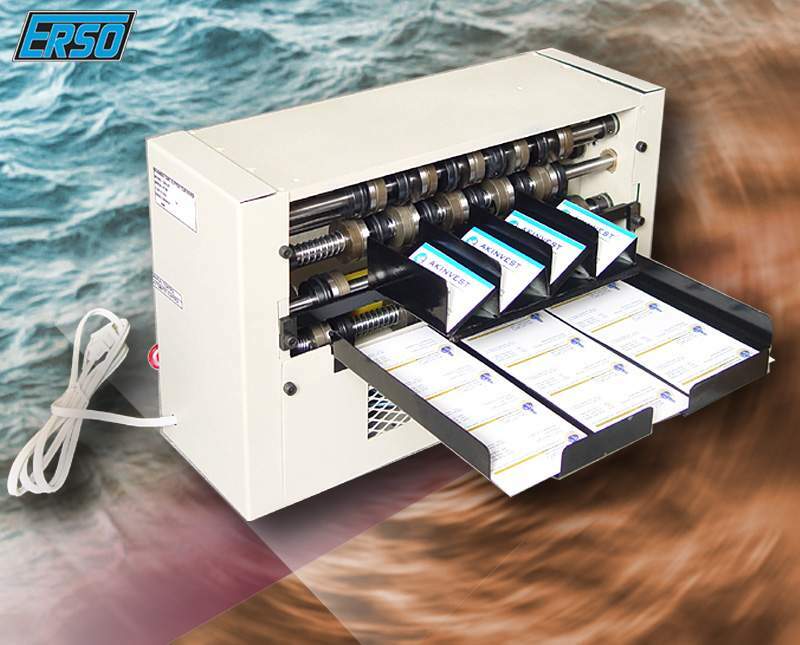 We manufacture our business card slitter machines only from materials and parts from Canada and the USA. You will note several slitter/ cutter machine designs available on our website, but if you can not find “yours”, please contact us for a custom made design. ERSO will be happy to produce specialized cutters / slitters for any size of stock and any size of final product (business card, greeting card, postal cards, etc).